For Sale in Stratford-upon-Avon for Guide Price £150,000. A building plot with planning permission in place for a three bedroom home. The permission allows sitting room, kitchen, cloakroom, integral garage/dining room & three bedrooms. Positioned on arguably one of the most highly regarded tree lined roads with Stratford town South of the River Avon. Please contact ourselves to see site of the plans and to make an appointment. 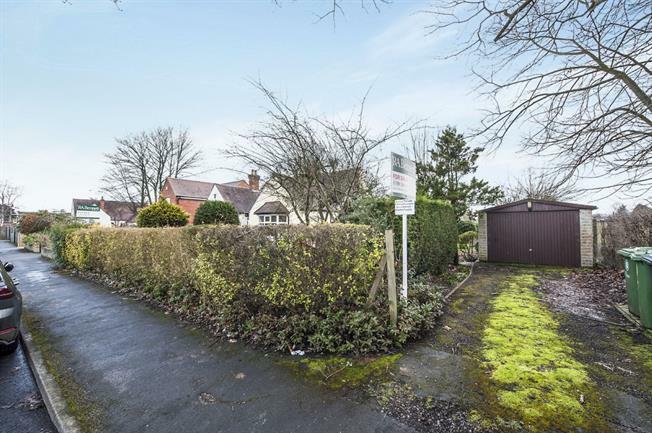 It should be noted that the adjacent home is being sold also at Offers Over 325,000 which can be bought separately or together with the plot of land. This offers again scope to improve and update.